Healthy Spring Recipes | 2 Easy, Yummy Recipes for Spring! Embrace yummy seasonal ingredients and flavors with these healthy spring recipes! Spring is here, which means it’s time to start putting the spring fresh produce to use, especially the seasonal vegetables. Healthy spring recipes are easy to come by but knowing which types of foods are seasonal to spring can be more complicated. Here we’re going to give you a few of our favorite easy spring recipes that highlight seasonal spring foods. Suffering from spring allergies? Click here for tips on fighting the spring sniffles. Many of the following can be found outside of spring, but that doesn’t mean you can use them in some healthy spring dinner recipes or highlight them more in the spring. Artichokes can be found in both spring and fall and are great for you! Mint is a great addition to meals and drinks! Peas are only grown in a very short period- did you know that? Now that you’re aware of the most popular spring foods, we’re going to give you a few different ways that you can use these delicious ingredients in healthy spring dinner recipes. Continue reading to learn how! Here’s what you will need: olive oil, balsamic vinegar, shallots, salt, pepper, spinach, strawberries, feta and chopped walnuts. Mix together 1 and ½ tbsps. of olive oil with 1 tbsp of balsamic, with ¼ tsp of salt and pepper and 2 finely chopped shallots and let it stand for a few minutes, letting the shallots soften. Add to the bowl 6 cups of spinach, 1 cup of chopped or sliced strawberries with ¼ cup of feta and ¼ cup of chopped walnut. Toss together to allow the previous mixture to coat the spinach and strawberries as it’s dressing. Heat 1 tsps. of butter in a skillet over medium heat and add 8 cups of spinach and cook until wilted. Once wilted, remove from heat. Chop 3 cups of the carrots, turnips and radishes, thinly and prepare it to mix into the lasagna. 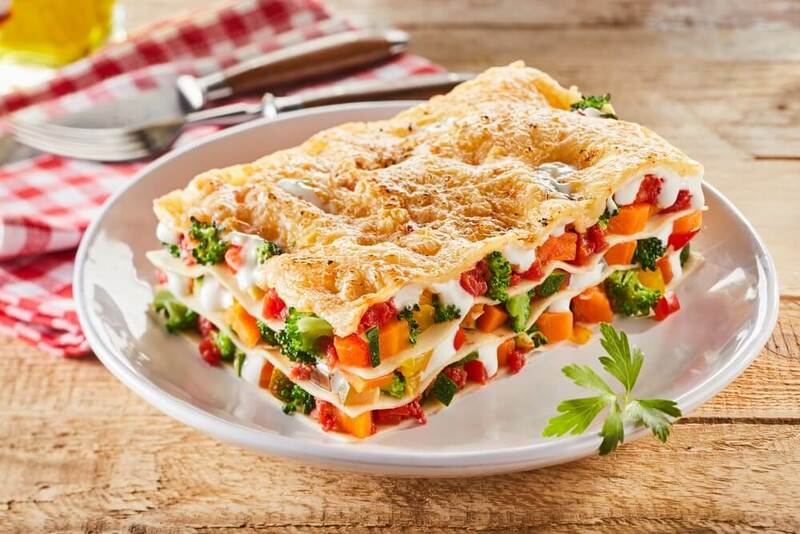 Place 4 noodles of the lasagna in the baking dish and cover it with ¼ cup of the spinach and ¾ cup of the vegetables. Add in 1 cup of the mixture of the mascarpone and broth and then top with 1/3 cup farmers cheese. Repeat the step above until there are 4 layers. Cover with foil that has been coated in butter or spray and bake for 25 minutes. Take off the foil and bake for another 15 minutes or until the edges of the lasagna is crispy. Here are a few other easy spring recipe ideas that can be researched or altered to make use of the delicious spring foods! Buddha Bowl featuring as many spring foods as you like! Check back for more healthy recipes from BetterHealthKare.com!